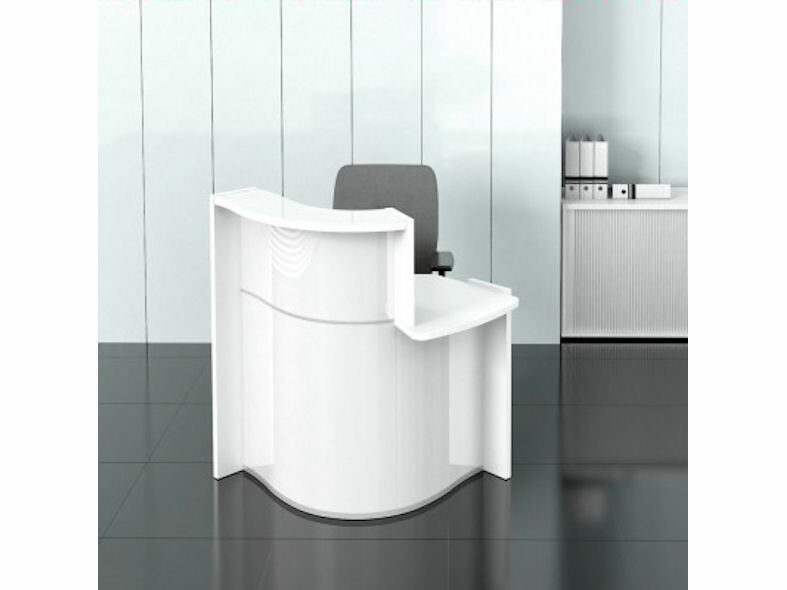 MDD Mini Wave “meet & greet” reception desk has one desk top cable port and comes with a left or right hand opening. Available with gloss high pressure laminated fronts in white, orange, burgundy red & lime green. 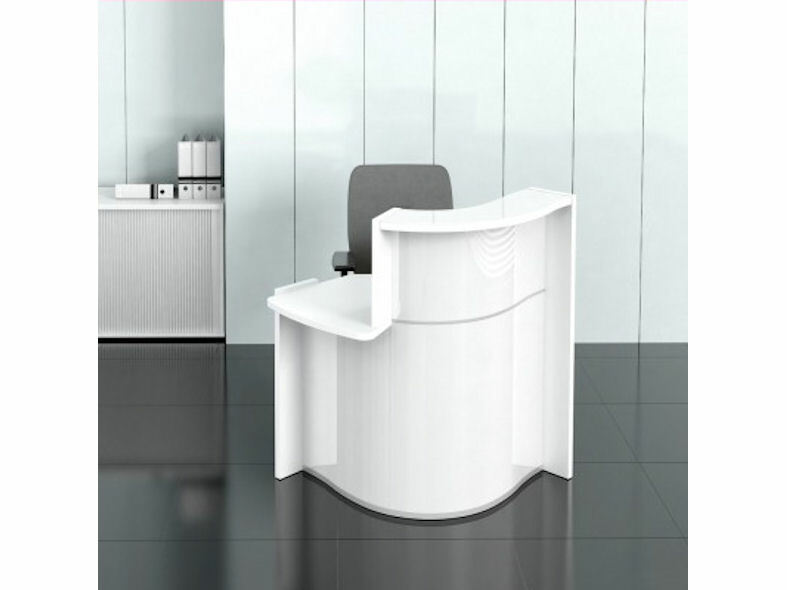 These desks are ideal for welcoming visitors in both large and confined spaces.